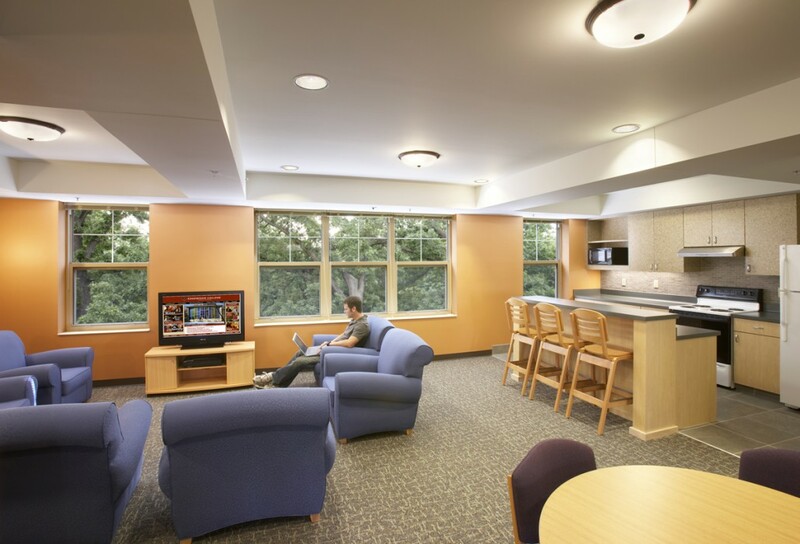 Wisconsin Edgewood College is nestled in an urban setting that includes American Indian burial mounds, 100-year old oak trees, and a sloping site that leads to nearby Lake Wingra. In adding new residential space to the campus, the College wanted a design that fulfilled its mission of providing sustainable environments. 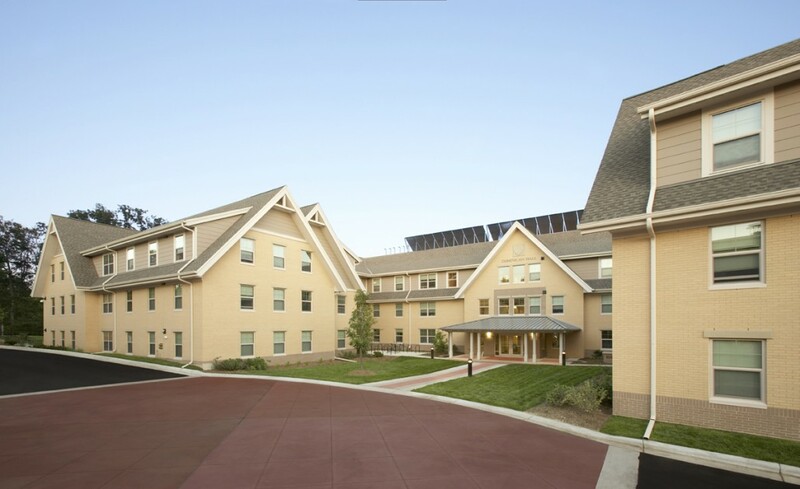 With this idea as a primary focus, Potter Lawson designed a four-story residence hall for 198 students that utilized renewable energy systems and green materials. 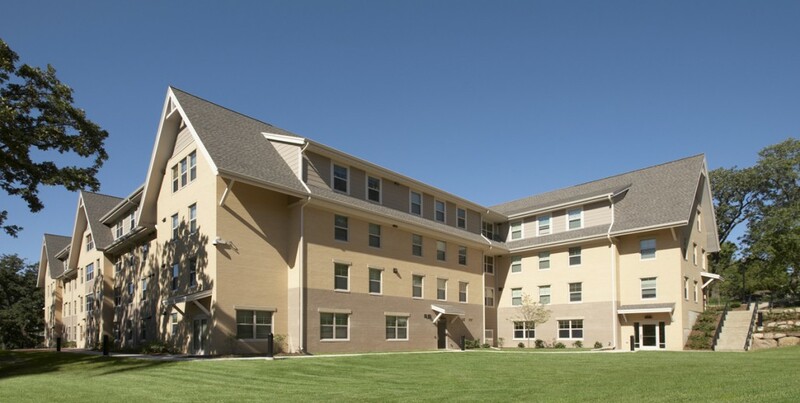 As the first LEED certified residence hall in Wisconsin, the project was awarded LEED Silver certification and includes sustainable elements such as: water conservation, day lighting, extensive use of recycled materials, solar pre-heating of the water supply, and integrated energy efficiency measures. As the first new on-campus housing in over 13 years, the additional residents help create a stronger sense of community on the campus. 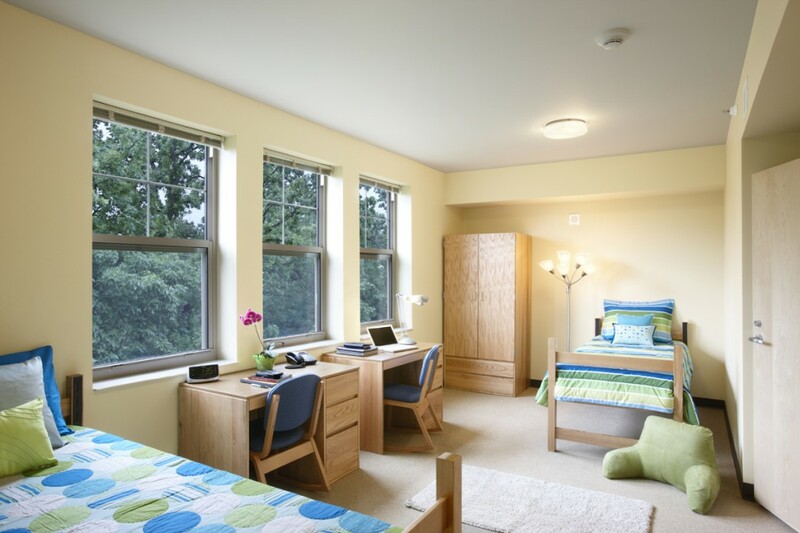 Dominican Hall offers a variety of housing options including suites as well as single rooms.